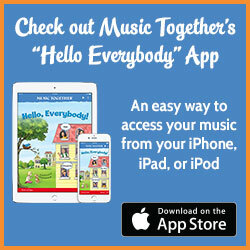 Please explore the links on this page to access the Family Portal and Music Together® resources. Enrol in classes, check your balance, make payments, and view and update your details. Download and stream songs to your mobile device. Be inspired with ideas for incorporating more music into your family’s day, find out more about your child’s music development, even learn how to play some of our songs on the guitar or ukulele! Enter the code inside your Music Together CD cover to access the songs and activities for the current term.